30 Day Style Challenge, Day 7: It’s a Grown-Up Tutu with Pockets. 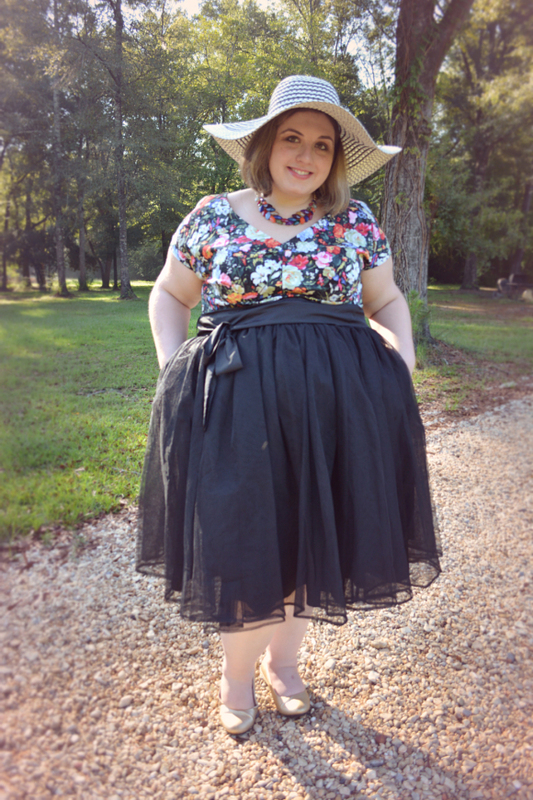 Update: The Dahlia crinoline skirt is available again in black at eShakti. It wasn’t on the site at the time I made the post. Check out the title of this post–I don’t think there’s a better way to describe this skirt. It’s the same one from Day 1 of the challenge. Sometimes it’s a petticoat, others it’s the star of the show. The skirt isn’t the only garment I’m wearing today that can do double duty. See my top? It’s really a dress. The bottom half is a no-fuss, a-line silhouette, perfect for layering without adding too much extra bulk. Who wants that under a skirt that already super full? 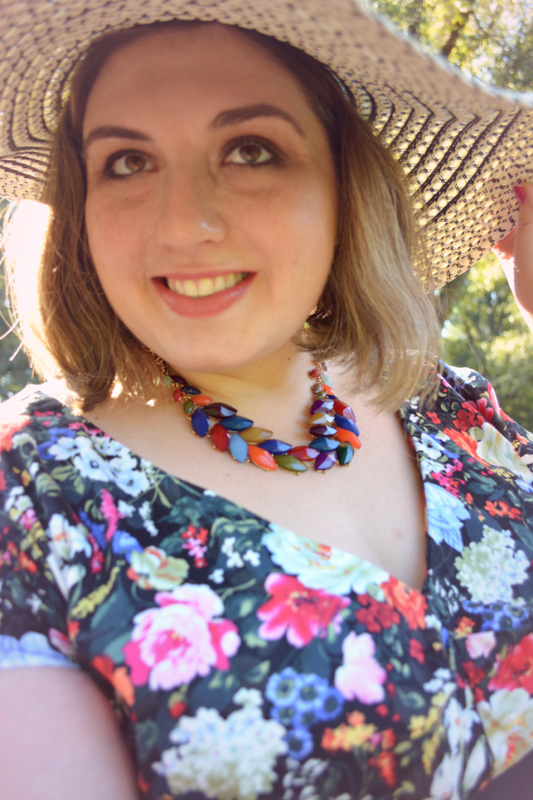 You just might see this rest of this dress in all of its streamlined glory in a future outfit post. I’m also wearing a hat because I’m a classy lady. What are the most versatile pieces in your wardrobe? Let me know in the comments. Until next time, stay classy, fashionistas! 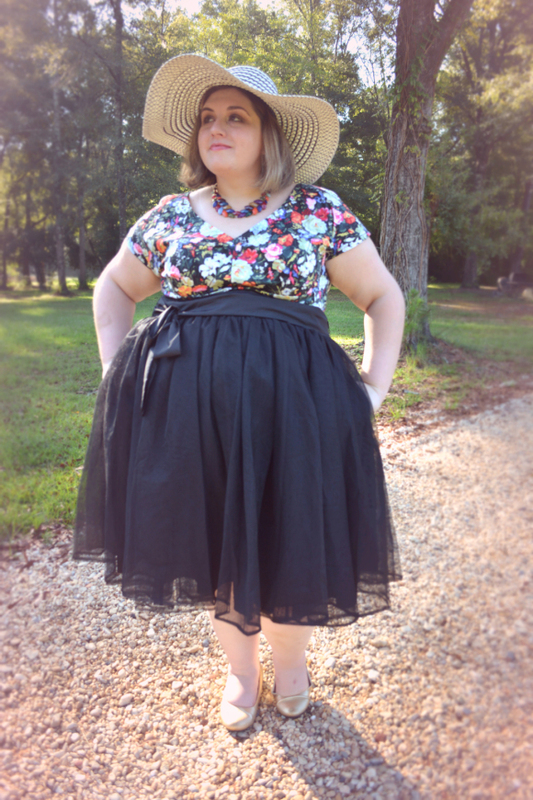 3 responses to 30 Day Style Challenge, Day 7: It’s a Grown-Up Tutu with Pockets.